The next major update to the Zcash test network (z6) will be much different than previous network updates. 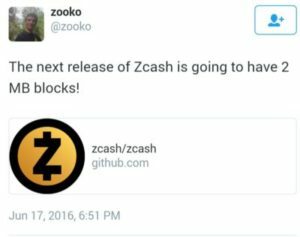 Instead of a complete reset of the network which normally wipes all test coins and necessitates recompiling of the Zcash core code; the Zcash developers will natively implement a Hard Fork increasing the block size to 2MB. This marks the first time the Zcash code will be tested with a hard fork so it will be interesting to see the impact on the test network and the miners. The z6 release is currently scheduled for June 27th.